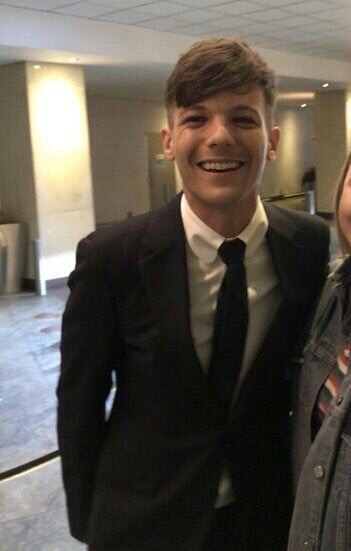 Louis Tomlinson attended the NHS Heroes Awards, looking dashing in a fitted suit. Winners come from the various frontline NHS services across the UK and include surgeons, nurses, emergency teams, fundraisers, mental health champions, and volunteers. The NHS is marking its 70th anniversary this year with a star-studded guest list paying tribute to the award winners. Louis presented Freya Lewis with The Young Fundraiser Award. Freya, a survivor of the Manchester bombing, raised £27,000 for the hospital that saved her life. She had multiple operations and initially it was feared she would never walk again, but after 3 months, she was back on her feet and is doing the Great Manchester Run next weekend. The NHS Heroes Awards will be on ITV next Monday, May 21, in a special two hour show from 8.30 pm. More information on the NHS Heroes Awards is here. Click for photos of Louis at the NHS Heroes Awards.